VANSDA is excited to announce and introduce the ‘Legacy Series’ coffee. 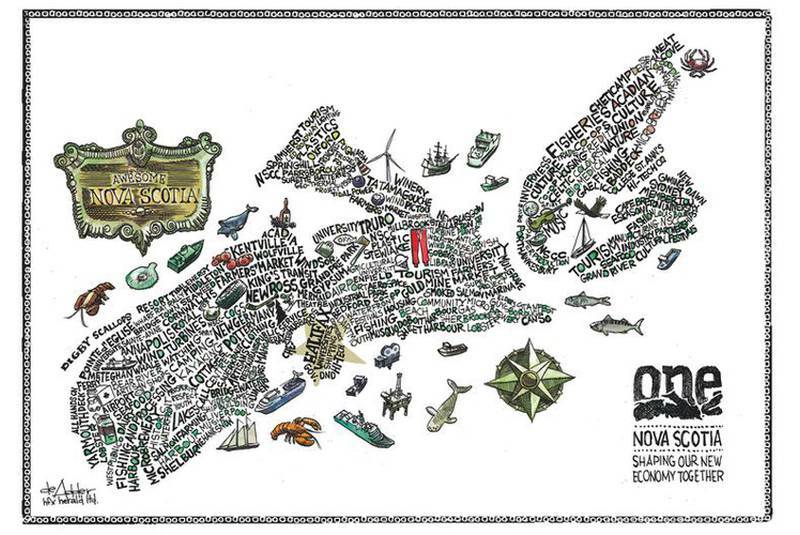 This product launch introduces a new and innovative avenue to increase the awareness of African Canadian / Nova Scotian history throughout the Province of Nova Scotia and beyond. 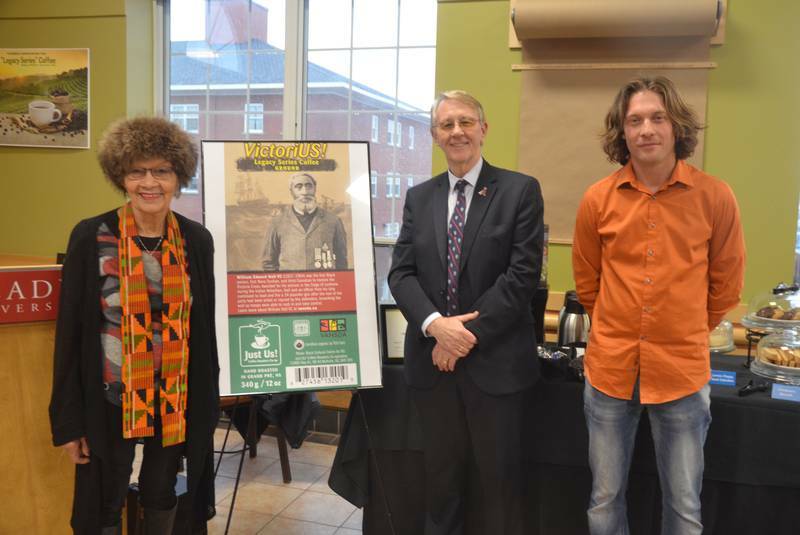 By entering into a partnership agreement with Just Us Fair Trade Coffee Roaster Co-op, we have created a unique specialty coffee brand with labels promoting various historic persons of African descent, important to not only Nova Scotia but also Canada. 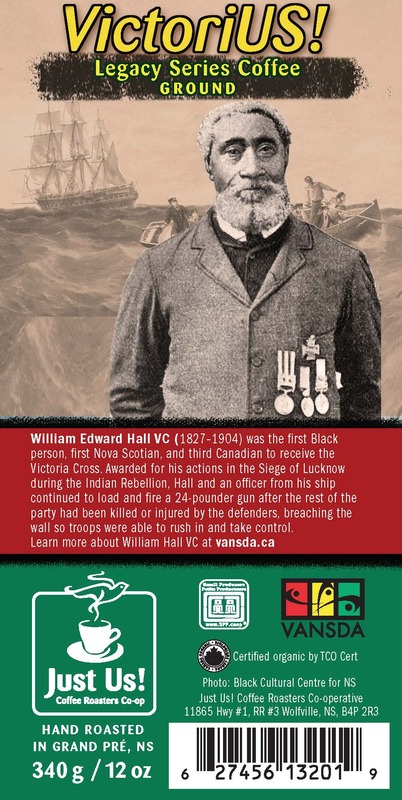 The official launch date for the first in the Series, a tribute to William Hall VC, under the label VictoriUS (a medium roast specialty coffee) is February 8, 2019 at Acadia University, Wolfville. VictoriUS! and the subsequent featured labels Rose Fortune – IndustrioUS!, Marcus Garvey – AmbitioUS! 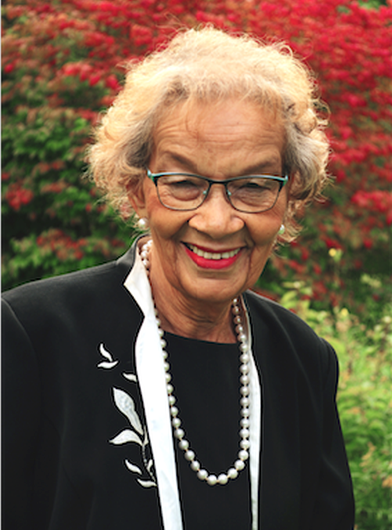 and Portia White – MomentoUS!, will reinforce the organization’s multi- phase, anti- racism and educational mandate aimed at the development of welcoming workplaces, communities and reducing racism endured by black and brown persons throughout the province. Our goal is to bring history into homes and lives in a new and unique manner. Contact JUST US Coffee Roasters Co-op or VANSDA (902 678-7410 ext. 201) for purchase info.